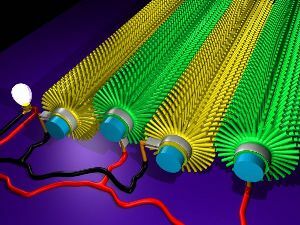 Latest invention of engineers from the University of California, Berkeley, is energy-scavenging nanofibers that could be used to manufacture clothing and textiles. With their latest invention engineers will be able to make clothing that could power different portable devices. It is worth mentioning that thanks to nano-sized generators with piezoelectric properties the nanofibers have the ability to transform energy from mechanical stresses, stretches and twists into power. Thus, if used in clothing, the nanofibers could make use of body movements to power gadgets. "This technology could eventually lead to wearable 'smart clothes' that can power hand-held electronics through ordinary body movements," outlined Liwei Lin, UC Berkeley professor of mechanical engineering and the lead-researcher in the team that created the fiber nanogenerators. Another advantage of the nanofibers is that they are made using organic polyvinylidene fluoride, which allows them to be flexible and rather inexpensive to make, informs Medical News Today. Engineers say that in theory it would be possible to generate more power from their latest invention when, for example, a person dances.